All the romance of Paris right at your fingertips! 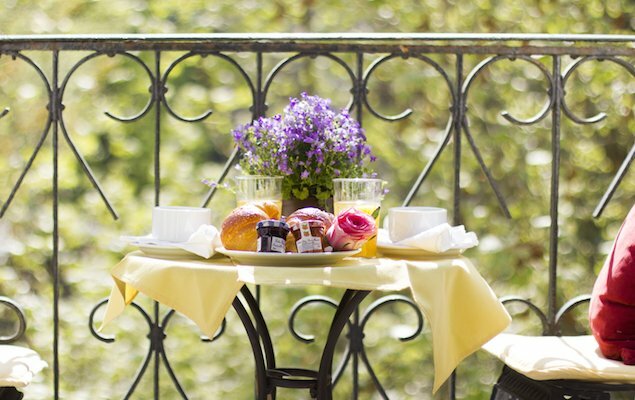 Paris is one of the most romantic cities in the world, but where you stay makes all the difference. While we think all of our Paris vacation rentals have that something extra special, we’ve surveyed our guests and looked to rental popularity to nominate our three most romantic Paris apartments. The beautiful Champagne, Volnay and Chambertin apartments top the list! We created a video for you to enjoy a sneak peek inside these three very special Paris apartment rentals. Perhaps it will even inspire you to plan a romantic getaway to Paris. Ooh la la! Note: The song was first sung by Bobby Darin as Beyond the Sea. Yves Trenet the famous French crooner proposed it to his producer but was told the French only wanted to hear American BeBop/Rockn’Roll — called ‘Swing’ in French. So he says in the song that it sat in a drawer for two years, until it was discovered and has become one of the most popular romantic songs in France ever since! 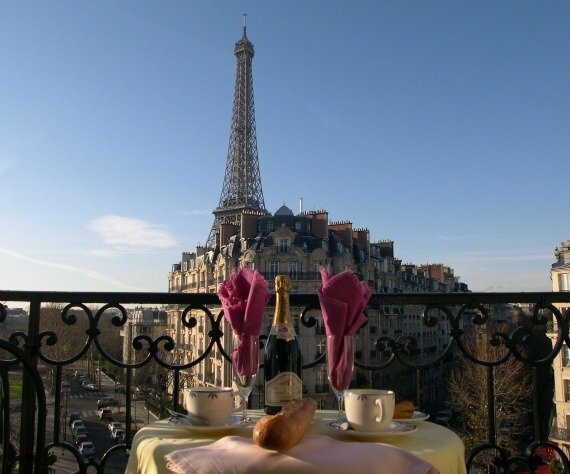 Our Champagne apartment is the top romantic choice with its stunning Eiffel Tower views and charming décor. It’s a favorite apartment with guests for surprise engagement proposals on the balcony, pre-wedding photo shoots and romantic honeymoon or anniversary stays in Paris. The beautiful Volnay has a dreamy and romantic feel with its five sets of French doors, lovely bedroom and gorgeous Eiffel Tower views. It has been recommended by guests, “For the absolute perfect Valentine’s day.” But we think it’s romantic any day of the year! One of our newest apartments, the Chambertin has quickly become a popular choice among guests thanks to its stunning location and very long balcony with breathtaking views of the Eiffel Tower that you can enjoy from the living room, kitchen and even while soaking in a relaxing bubble bath. 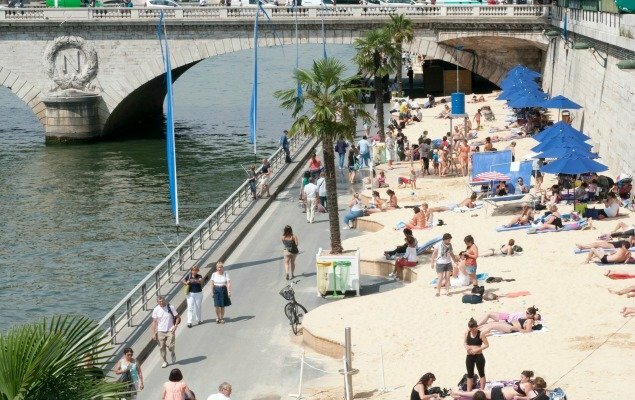 We invite you to view all of our Paris vacation rentals or contact us and our team will be pleased to help you find the most romantic stay for your holiday in Paris! NEXT: A Red Eiffel Tower? Posted on Wednesday, July 2nd, 2014 at 10:31 am in Apartment Rentals. You can follow any responses to this entry through the RSS 2.0 feed. You can leave a response, or trackback from your own site. The 6 Most Romantic Paris Apartments for Lovebirds! Slash Sale Offers Luxury Apartments on a Summer Discount! Warm and Cozy Apartments in Paris for Fall and Winter Stays Introducing the Romantic Margaux Vacation Rental!